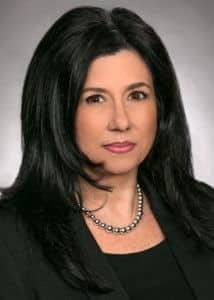 Victoria “Vicki” Greco is a senior litigation assistant having thirty years of extensive experience in all phases of litigation. She possesses excellent litigation file management skills with a fine eye for detail. Vicki handles all aspects of discovery, including organization and production, and has significant trial preparation experience. Vicki also brings extensive experience in appellate matters, and is uniquely adept at navigating the procedural nuances of multi-state litigation. She studied at Temple University and The Philadelphia Institute of Paralegal Training. Vicki joined The Wolk Law Firm in 1992 and is caring and compassionate in dealing with the needs of our clients.